The Supreme Court has been told by the Central Government that by September 14, it will bring a notification which will make a warning against smoking mandatory in movies. The government has said that the makers of the movie have to show a warning sign at the beginning, interval and by the end of the movies. The warning tag which says ‘Smoking is injurious to health’ should be displayed. The Central government has told the court that the smoking scenes will be allowed in the movies. 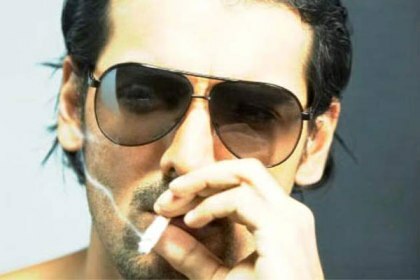 Earlier this month the I&B Ministry asked the Censor Board to ensure that that film has a 20 second anti-tobacco warnings voiced by the actor who is seen smoking in the flick. The upcoming movie ‘Heroine’ will also have a the smoking scenes featuring Kareena Kapoor while the makers of the flick have to display a tag which says cigarette smoking is injurious to health. The movie ‘Heroine’ has several scenes which has Kareena smoking. So the censor board has cleared the movie with an ‘A’ certificate and has also instructed the makers to run the statutory warning every time Kapoor is seen smoking. Surprisingly the makers have cleared the intimate scenes between Kareena, Arjun Rampal and Randeep Hooda.